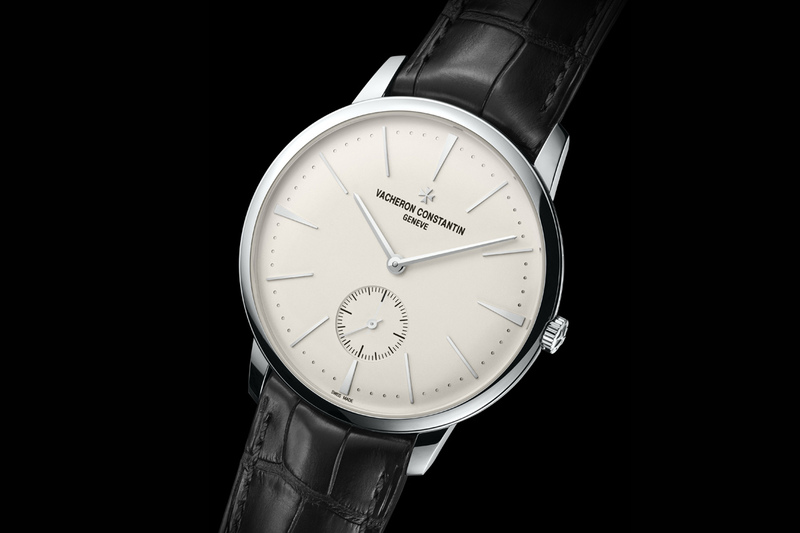 With its minimalist elegance inspired to the 1950s (one that will never go out of fashion), the Patrimony is one the essential collections of Vacheron Constantin. 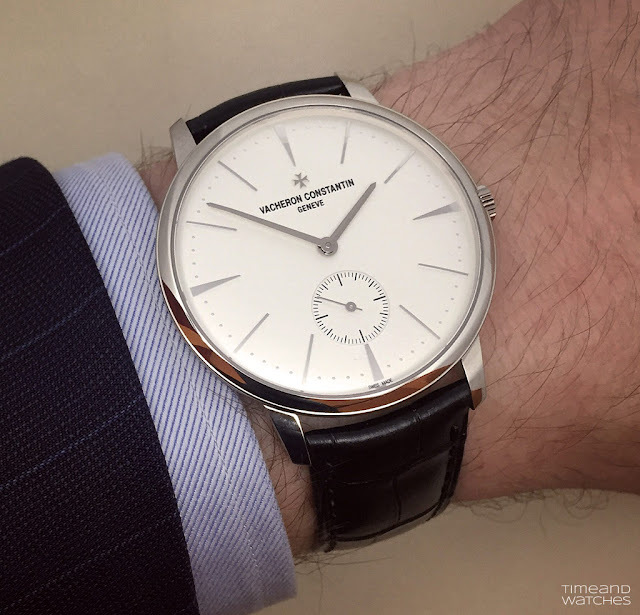 In 2016, the Geneva watchmaker expanded its collection with several new models. Among them we highlight three new timepieces available in a larger 42 mm diameter which does not alter the aesthetic balance made of rounded curves and taut lines. 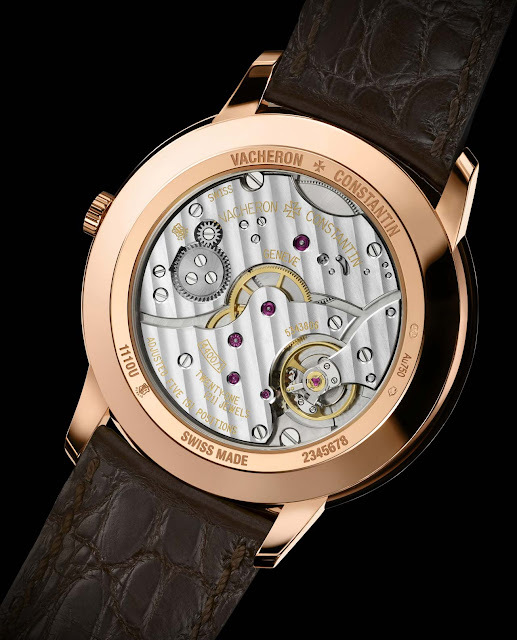 The two models in pink gold (ref. 1110U/000R-B085) and white gold (ref. 1110U/000G-B086) feature a silvered opaline dial while a third model in platinum (ref. 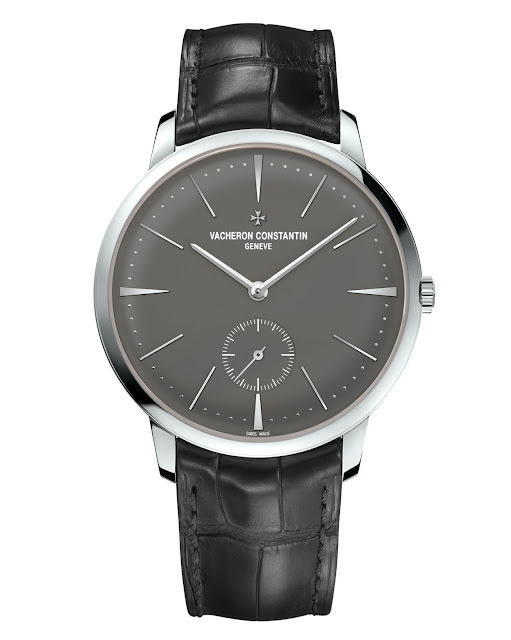 1110U/000P-B087) is easily recognisable for its slate-coloured dial. Slightly convex on the external zone and adorned with a circular "pearl" minute-track, the restrained dial is enhanced by applied hour markers and the small seconds subdial at 6 o’clock. The functions are driven by Calibre 4400 AS, an in-house developed and manufactured hand wound movement beating at 28,800 vibrations per hour and offering 65 hours of power reserve. Visible through the sapphire crystal caseback, it features all the meticulous hand finishes which set the Haute Horlogerie timepieces apart. All models bear the Hallmark of Geneva to certify the standard of excellence. You can read more about the prestigious Hallmark of Geneva criteria here. 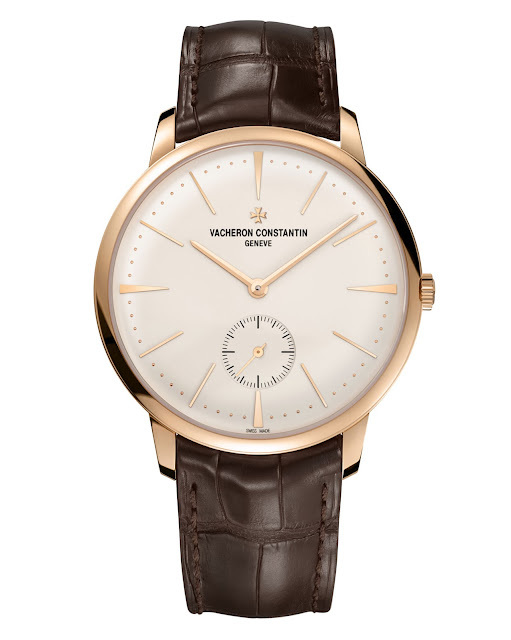 Vacheron Constantin Patrimony 42 mm. In 2016 Vacheron Constantin expanded its Patrimony collection three new models available in a larger 42 mm diameter. 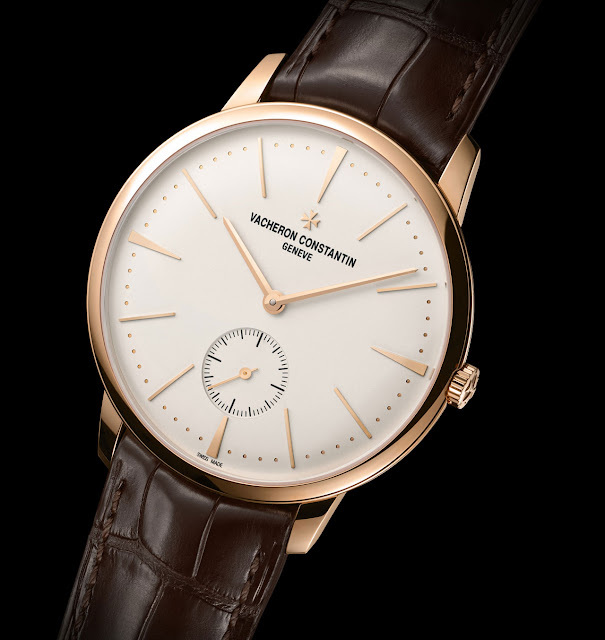 The two models in pink gold (ref. 1110U/000R-B085) and white gold (ref. 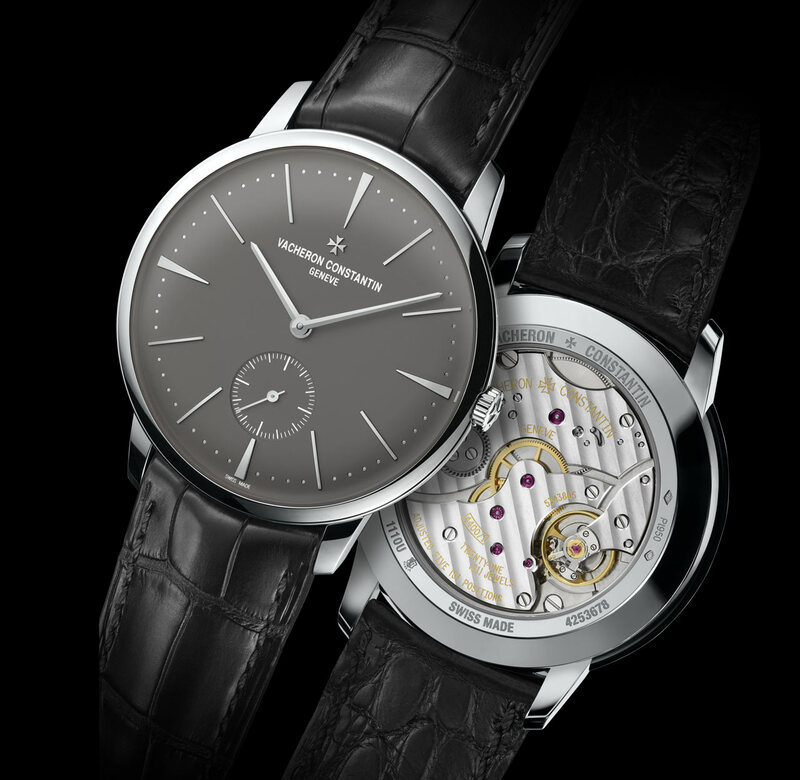 1110U/000G-B086) feature a silvered opaline dial while a third model in platinum (ref. 1110U/000P-B087) is easily recognisable for its slate-coloured dial. Pricing of the new Vacheron Constantin Patrimony 42 mm starts at Euro 22,100 / US$ 24,700.